Glendale, Calif. — Don’t put away the mosquito repellent just yet. Mosquitoes and West Nile virus (WNV) are still a big public health concern despite the official end of summer this week. 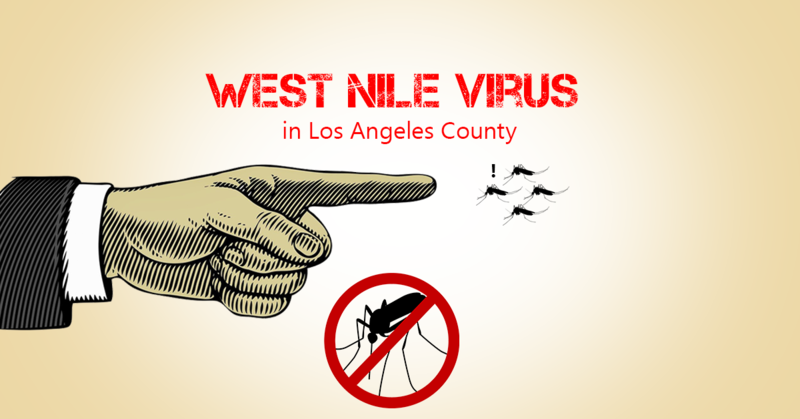 The Greater Los Angeles County Vector Control District (GLACVCD) will go door-to-door distributing educational materials on Wednesday, September 20, in the city of Glendale and community of Los Feliz where the Los Angeles County Department of Public Health has reported at least 12 human cases of WNV infection. In addition, GLACVCD will partner with local officials to urge residents to prevent bites by wearing insect repellent and eliminating standing water sources around their yards and patios. According to GLACVCD mosquito surveillance data, residents in Glendale, Los Feliz, Atwater Village, and Elysian Valley are at higher risk of getting sick from mosquitoes carrying WNV. The District routinely traps and tests mosquitoes at more than 150 locations across its service area. Test results to date indicate a significant increase in WNV infection in Culex mosquitoes from these communities even though mosquito numbers in these areas are lower than the 5-year average. At this time of year, mosquito bite prevention is most important. Despite the focus in these communities, officials warn that West Nile virus is widespread across the County. Residents planning to spend time outdoors are reminded of the importance of preventing mosquito bites and removing sources of standing water where mosquitoes lay eggs and develop. Infection with WNV is often mild, but the virus can cause significant cognitive and neurologic symptoms in some patients. Milder fever and body aches can progress to weakness, confusion, and paralysis which can take months to years of recovery, or even result in a patient’s death. Apply mosquito repellents to exposed skin before going outdoors. Clothing can also be treated with permethrin products to prevent bites (read and follow all labels). Use and reapply repellent as recommended on the label. How long a repellent works depends on the active ingredient and the concentration you select. The Centers for Disease Control (CDC) recommends products with the active ingredients DEET, Picaridin, IR3535, some oil of lemon eucalyptus and para-menthane-diol products as being safe and effective. Use infant seat/stroller screen covers on babies younger than 2 months, and only EPA registered repellents on children. Oil of lemon eucalyptus should not be used on children younger than three years of age. Any water left standing for more than one week in containers such as flower pots, fountains and pet dishes provide the perfect breeding habitat for mosquitoes. Check water collected in rain barrels and buckets as these can breed hundreds of mosquitoes every week. If larvae are detected, treat immediately with Bti products or dump the water onto lawns where the immature mosquitoes will die (do not pour into gutters or streets). Discard or seal these containers against future mosquito problems.